Roberto Bautista Agut leads the H2H 3-1, including winning their recent two meetings, but this is their first meeting on clay. Gojowczyk has got the ability to challenge Agut on the outdoor or indoor hard courts, but on clay, his chances are very slim. 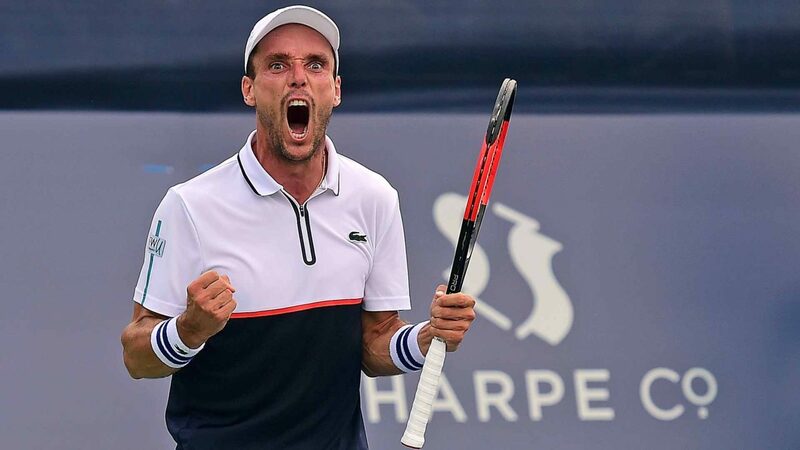 Roberto Bautista Agut could not win more than two matches in any of his previous five appearances here at the Monte Carlo Masters, and he will be hoping to put up a better show this time around. The Spaniard, seeded 11th this week, is yet to play a match since facing a shocking defeat at the hands of Michael Mmoh in the second round (first round bye) of the Miami Open a few weeks back. World #17 Roberto Bautista Agut is having a mixed season so far in 2018. He has won two titles at Auckland and Dubai but suffered opening-round losses in four tournaments (Miami, Pune, Marseille and Australian Open) and lost his third round match in the Indian Wells (first round bye). Clay has been the most productive surface for Agut over the years (235/157), and he managed to win 12 matches on this surface in 2017 (12/7). Moreover, he has lifted seven titles at the clay tour tournaments (Challenger, ITF, and World Tour). Peter Gojowczyk is currently on a three-match losing run with his last win coming against Lucas Gomez in the first round of ATP Acapulco. He defeated the World #830 in straight sets despite producing a shaky performance, 6-3 6-2. The German made an excellent start to the season by making consecutive quarterfinal appearances at Auckland and Doha. He later finished as the runner-up at ATP Delray Beach. However, he was forced to retire during his second round match of New York Open (February 2018), and his recent performances suggest he is not at his best level (physically) at the moment. Peter Gojowczyk played only five matches on clay in 2017 (2/3), and he has never played at Monte Carlo in the past.